It's time to change your Washington Registered Agents! What is a Washington Registered Agent? The state of Washington requires Washington LLCs and Washington Corporations registered in the state to conduct business, have Washington Registered Agent service. The Washington Registered Agent you appoint for your company, will receive legal service and government notices on your behalf. The Articles of Incorporation or Organization for both domestic and foreign entities, ask for the address of the registered office to receive service of process. The Service of Process is a notice of a summons or a lawsuit. The best thing I ever did for my business, was to change my registered agent service over to IncSmart. Year after year, I have had nothing but great service. They always answer the phone and return phone calls. Highly recommended. These are the best fees we could find. The service was fast. The information was emailed to us as quick as we placed our order. No waiting. The web page is also pretty cool. Lots of information. IncSmart has the very best prices that I could find on the Internet. The service is also very fast. I had the information in my email at the same time I placed my order on their webpage. Placed my order and had my agent information in seconds. Great web page too. Full of information my company can use now and in the future. I just signed up for IncSmart Twitter. Great fees and great webpage. I have been waiting to change our agent for some time. The fees go up every year. IncSmart has the best fees I could find. Had the information on my new agent emailed right after I placed the order. Also found the Registered Agent change form on their site. Easy as one two three. 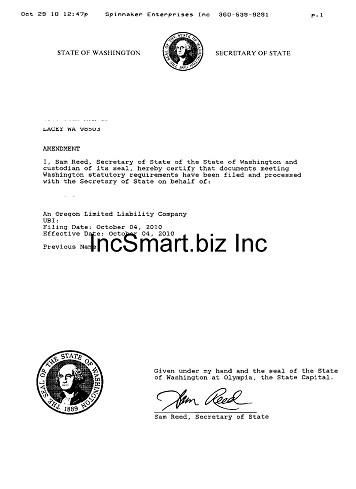 We have just moved our three LLCs to IncSmart's Washington Registered Agent service. Saving money is the same as making money. Great way to start the year. IncSmart has great fees. We looked... and looked. They also have a great webpage with lots of content. Happy to have found you on Yahoo. Great service, and fast. We had our Washington Registered agent information in no time at all. We were able to file within minutes of the order. Easy online order form and website is full of information for company owners. IncSmart has the best registered agent fees on the internet. We researched several companies. 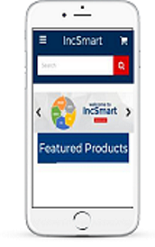 The IncSmart web page is easy to follow and easy to order from. I especially like the fast turn around for information. It was immediate. Right after I place my order. Incsmart has been an awesome company for us. We have received all of our notices and the fees are the lowest in the industry. I just renewed for another year of service. We just signed on for another with the Incsmart's Washington Registered Agent service. We are very happy with the help we have received from the IncSmart staff. We especially like the links to the Washington Secretary of State office from the IncSmart web page. We ordered the Washington Registered Agent service and had the information in our email in just minutes. This is really great service. No phone calls, no emails... nothing. We placed our order the information was there. Registered Agent fees are very competitive and the service and information was in my email before I finished the order. We received the Washington Registered Agent's name and address in minutes after placing the order. We thought we would have to wait till the next day since we ordered the service at night. The registered agent fees are great. $49 for one year. Can't beat that anywhere. The order form was easy. Great fees from IncSmart. We have used IncSmart before and are very happy with the services. They make it easy to keep us with the renewals. They email one month before the fees are due and they do not keep your credit card on file. ahhh... so glad we found you. We have been looking for a new agent for quite some time. Incsmart fits the bill. The fees, the web site, and above all, the customer service. They have answered the phone and answered out questions every time we called. IncSmart has the lowest registered agent fees I could find. I need to change our agent. They never send us report notices. What am I paying for. 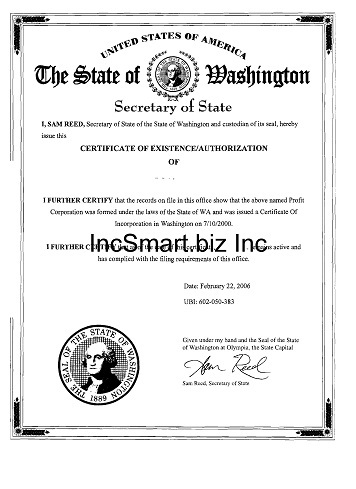 We hired IncSmart to be the Registered Agent for our new Washington company. They were very friendly and the price was great for a Washington Registered Agent. I have seen prices well over $100. I don't know why IncSmart is so much less expensive, and I don't care why. The price is right. 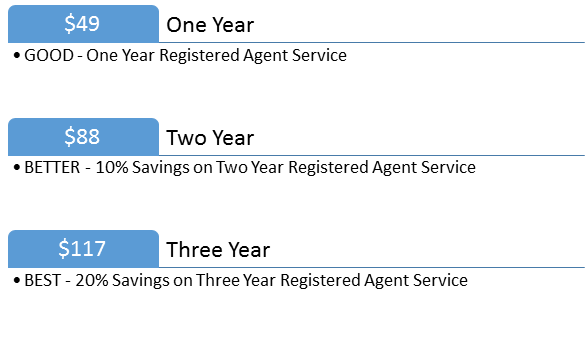 Q: When does the registered agent service begin? At the date of order or is it prorated for January 1st ? A: The Registered Agent service begins the minute you place your order. Look in your email for an order confirmation and follow the link that says "CLICK HERE". We will invoice you for the next years renewal one month before the service date which is the anniversary date of your order. Q: Is your Registered Agent in Seattle? A: Our Washington Registered Agent is located in Spokane. Q: How long does it take Washington to show a new Registered Agent on the Secretary of State web page? A: Three days for the Washington Corporation Department to change Registered Agent appointments. 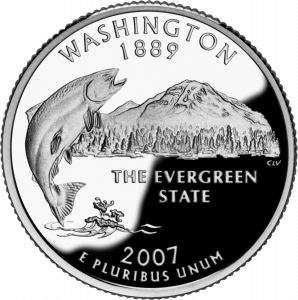 Q: What does Washington charge to change Registered Agents? A: I change my agent info online for free and they updated the Washington web page the next day. IncSmart Washington Registered Agent will alert you in a timely manner about all documents and service of process received as your registered agent. The state of Washington requires Washington LLCs and Washington Corporations registered in the state to conduct business, have Washington Registered Agent service. The Washington Registered Agent you appoint for your company, will receive legal service and government notices on your behalf. The Articles of Incorporation or Organization for both domestic and foreign entities, ask for the address of the registered office to receive service of process. The Service of Process is a notice of a summons or a lawsuit. Now you too can have a Washington attorney on retainer.